Triumph Motorcycles has confirmed Chrissy Rouse as the winner of its 2011 Young Guns initiative. After six months of assessment and mentoring, three finalists - Chrissy Rouse, Adam Robinson and Lee Jackson - were chosen from a shortlist of ten hopefuls. These three went head-to-head at Thruxton during the final North Glos road race event on 15 October, where the judging panel voted Rouse the overall winner. As the inaugural Triumph Young Gun, Rouse, will automatically qualify for a factory-supported ride on a 675cc Daytona, in the Triumph Triple Challenge series in 2012. Aged 16, Chrissy hails from Newcastle-upon-Tyne and previously raced in the Sunoco British GP125 Championship. He said: "I am absolutely delighted to have been chosen as the first ever Triumph Young Gun and am so proud to be riding a Daytona next year. "The Young Guns initiative has been a lot more than a competition and has provided all of us with a lot of insight, mentoring and support during the last six months. I’d also like to say well done to the other riders, who have put in 100 per cent over the last few weeks running up to the final. We’ve had loads of fun, learnt a lot and also made some great new friends in the process." Guy Masters, general manager, Triumph UK, said: "During the last few months, we have been fortunate to work with ten talented young riders, all of whom impressed the judging panel with their passion and professionalism. The final decision over who should be crowned Triumph’s Young Gun for 2011 was not an easy task. "However, we are very pleased to be providing Chrissy with an important stepping stone to the next level of his racing career and look forward to seeing him competing on a Triumph Daytona in the Triple Challenge next year." Tony Scott, Triumph Triple Challenge championship co-ordinator and Young Guns judge said: "All three finalists threw themselves into the scheme, working very hard to improve their racing skills both on and off the track. During the last few months every rider has shown an improvement in every area. "All three riders rode well during the final assessment and it was a tough decision to pick a winner. It has been a pleasure to work with them all over the last few months and I look forward to working with Chrissy Rouse next year. 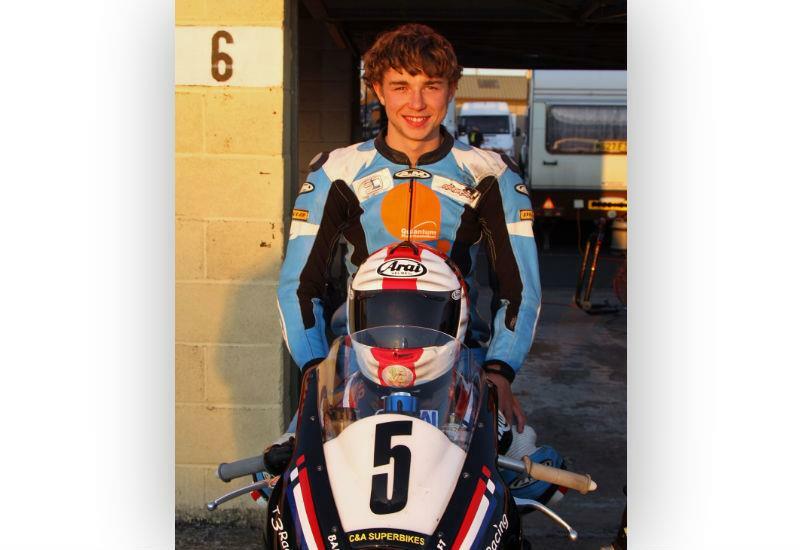 I wish both Adam Robinson and Lee Jackson good luck with their racing in 2012 and I will definitely be keeping an eye on how their racing careers progress." Stuart Higgs, British Superbike series director, added: "This has been a fantastic grass roots scheme that should be commended. Supporting up and coming young British talent often gets relegated or is simply not formally undertaken by the bike industry, so I’d like to thank Triumph for support UK biking in this way."